1. 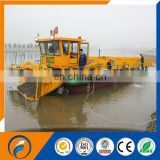 The vessel is mainly used for the salvage of garbage and floaters in the rivers and lakes. 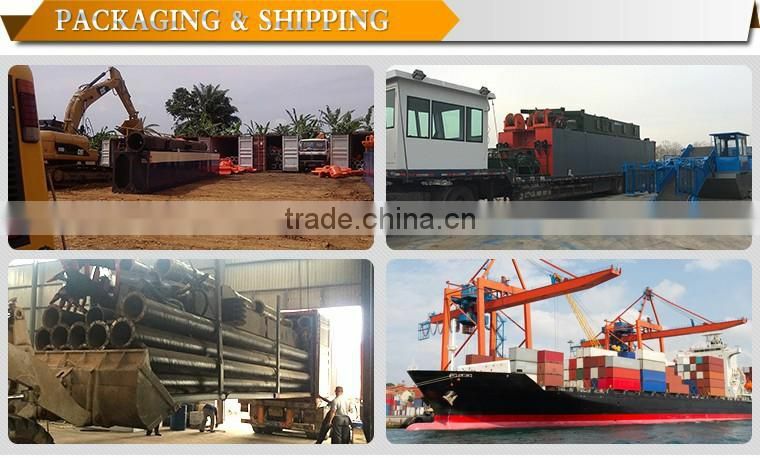 It can unload automatically the garbage and floaters to the specified wharf of the shore and to the garbage truck. 2. The collecting cabin is arranged in the front end of the vessel. 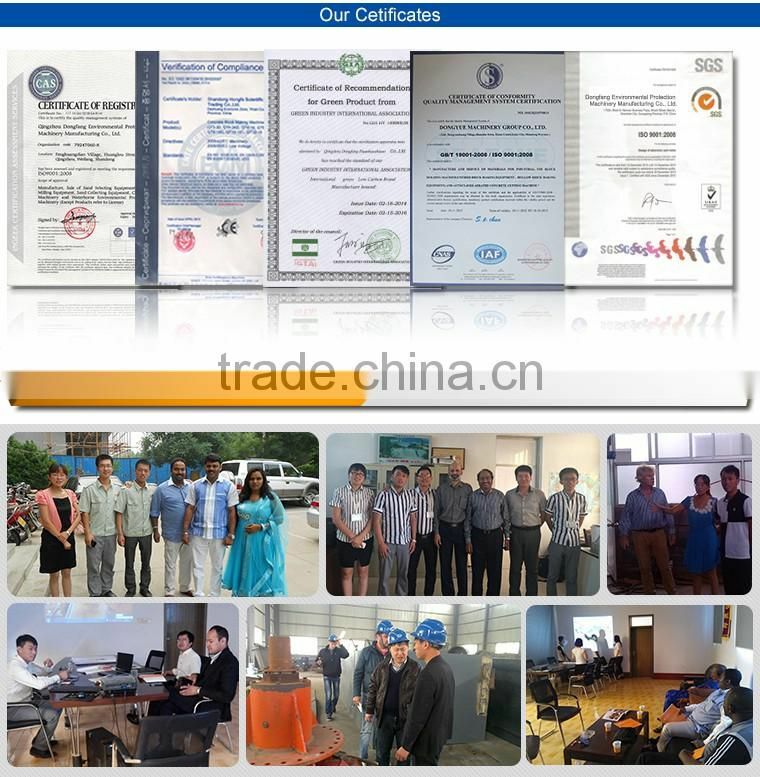 According to the situation of garbage, he depth of salvage can be adjusted freely. The swing arms on both sides of the cabin can swing left and right to expand the range of cleaning. 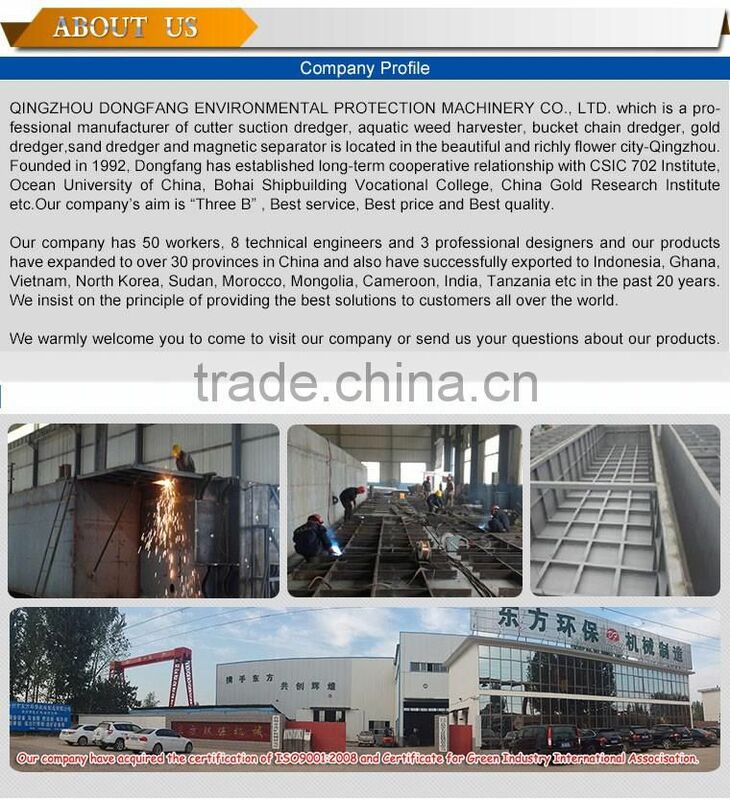 The conveying belt on the swing arms can be rotated to form the flow and absorb the small pieces of garbage into the collecting cabin to improve the cleaning efficiency. 3. The vessel has a wide range of salvage, a elegant appearance. 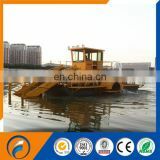 It can clean effectively the river, makes a small noise, uses less oil . 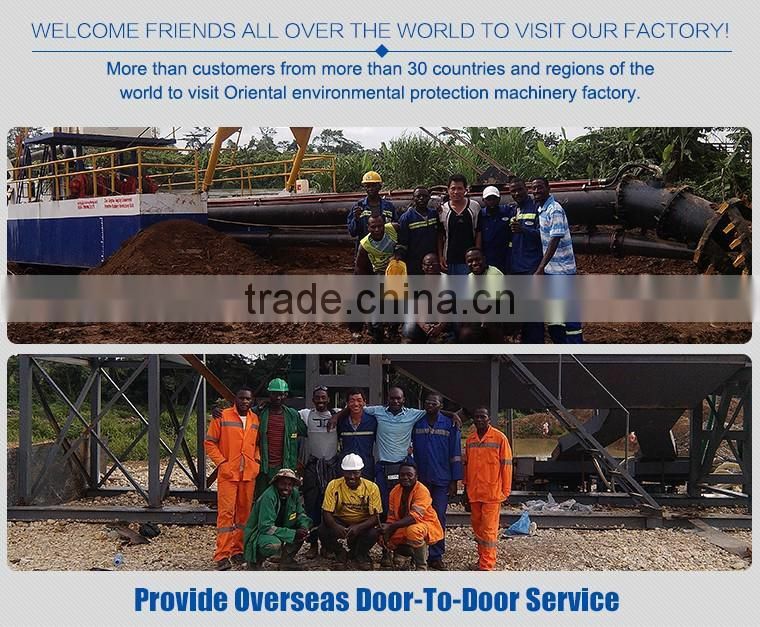 It is easy and safe to operate the vessel. It has a high automation degree. 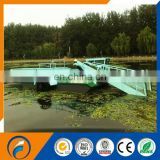 Fully automatic aquatic weed harvester: Fully hydraulic fluid control system, the collection, picking up, transport and unloading or aquatic plants can be completed by one person in the cab, with good controllability, high operation efficiency, and low energy consumption. 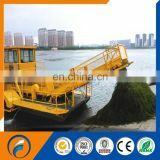 This boat can be widely used for cleaning up aquatic weeds, handling floating objects, and can be used for collection and transport.